I learned to play the Appalachian Dulcimer from my banjo tutor, Barry Murphy, who was a wonderful player and also made beautiful instruments. It is quite a quiet instrument, great for accompanying song and also if you have sensitive neighbours! 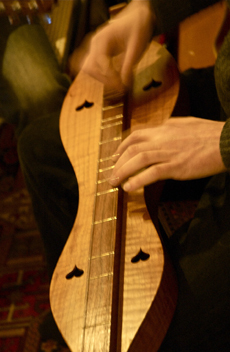 I plan to put a video of my dulcimer playing on youtube soon. Meanwhile please contact me if you have any questions. I normally teach from home in Brighton, East Sussex, but can also travel to you.